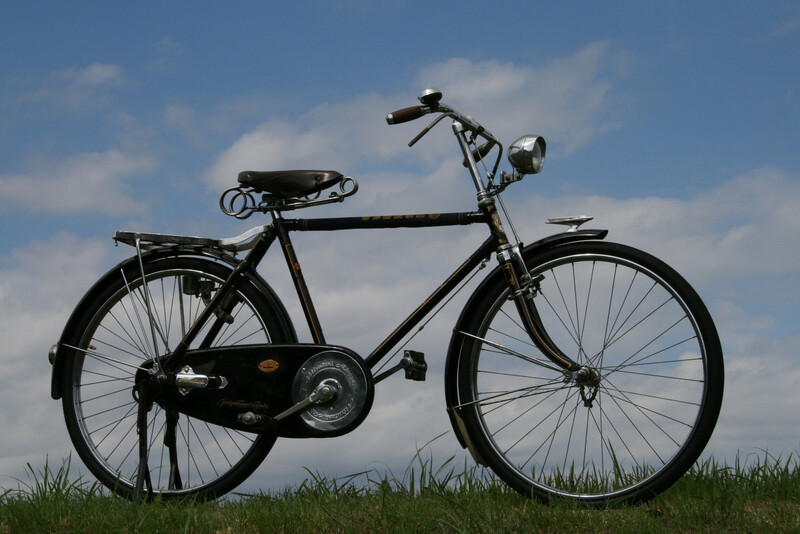 As mentioned in the previous post, in the second half of this series we will focus on the practical aspects of why bicycles from the 1950's are truly exceptional. With automobiles out of reach for the vast majority of households, the emphasis on bicycles was that they be good reliable transportation. Not flashy, not lightweight, not super fast, not high-tech, just simple solid dependable transportation. Thus, bicycles from the 1950s were rugged, practical, easy to maintain, comfortable and when viewed up close crafted works of art. 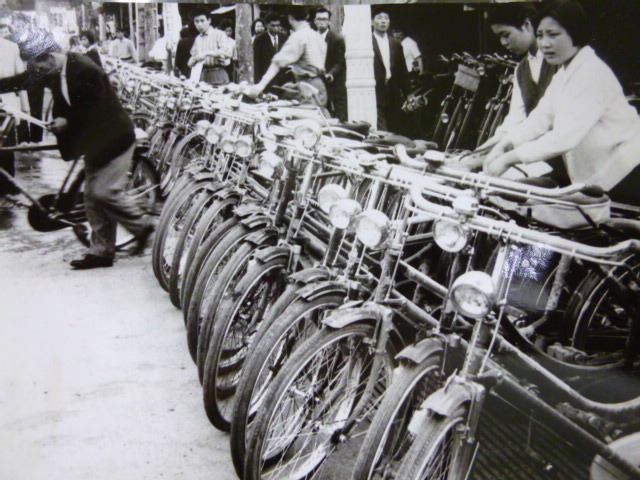 In Japanese these bicycles are called JITSUYOUSHA (実用車） literally "practical bicycle" or in bicycle lingo "utility bicycle". Bicycles had to be practical as for most families it was their only mode of private transportation. 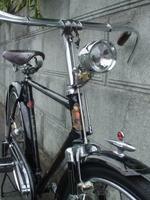 The emphasis was on "practical" not "flashy" and for the better part of the 1950's, especially the early to mid 1950's, the vast majority of bicycles came in one color "basic black". The following made these bicycles practical. Many of the above items have either been cheapened or abolished completely for the sake of lighter weight, speed or fashion. In the next post we will look at "easy to maintanin".